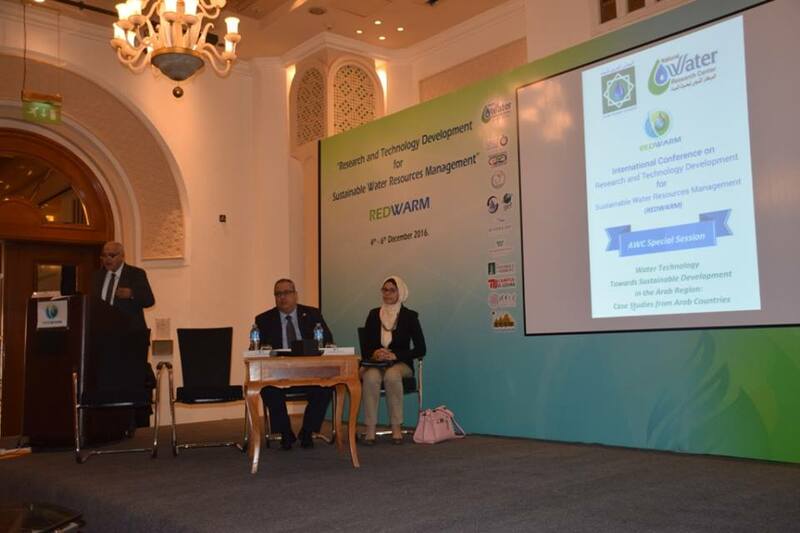 The Arab Water Council's special session on “Water Technology towards Sustainable Development in the Arab Region” (December 4, 2016) on the occasion of the NWRC International Conference on Research and Technology Development for Sustainable Water Resources Management (REDWARM). The session aimed at reviewing how various water technology innovations contribute to sustainable development at the regional arenas. Representatives of different national and regional organizations were invited and attended to share their expertise and know-how in relevant fields.